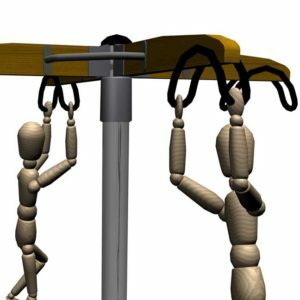 Installing of play equipment – can I do it on my own? Yes, however, some aspects should be taken into consideration. Proper installation is more challenging than it may first seem. Warranties usually does not cover installation mistakes. Ground work preparations can be surprisingly expensive when they are ordered by one-time customer, as well. Before the opening of the area, a post-installation inspection must be carried out by a competent person. If corrective measures are needed, the installation group is then responsible for them. NEXT: Swing on lawn – can it be installed there?